This entry was posted in Fly Casting, Fly Fishing Tips & Technique, The Hot Ticket and tagged WATCH THIS VIDEO AND LEARN TWO WAYS TO PICK YOUR FLY LINE UP OFF THE WATER QUIETLY AND MAKE AN EFFECTIVE CAST. by Louis Cahill. Bookmark the permalink. Great topic Lewis. This is a game changer if you are one of the many fly fishers I see ripping up the surface with bad technique. Joan Wulff shows that first method on her fly casting video series; she recommends a slightly different technique for trout fishing where speed isn’t as essential. Point your rod down, strip in until the fly line tip and leader only are on the water, slowly lift most of the leader out of the water, then snap your back cast. As delicate as can be! Barely a ripple and trout go on feeding completely undisturbed. Gary LaFontaine was a huge proponent of the roll cast pick up. It is a skill well worth adding to the dry fly tool box. With the roll pick up, especially with a long line out side the tip guide, is that you can’t load the rod for the back cast to the max after the ‘roll’ because you have to hurry the back cast to prevent the fly hitting the water and spooking the fish. It defiantly requires more skill. I tossed my phone to the floor and exclaimed – “Bonefish? Again?! Im almost ready to read yet another post about streamers for trout. 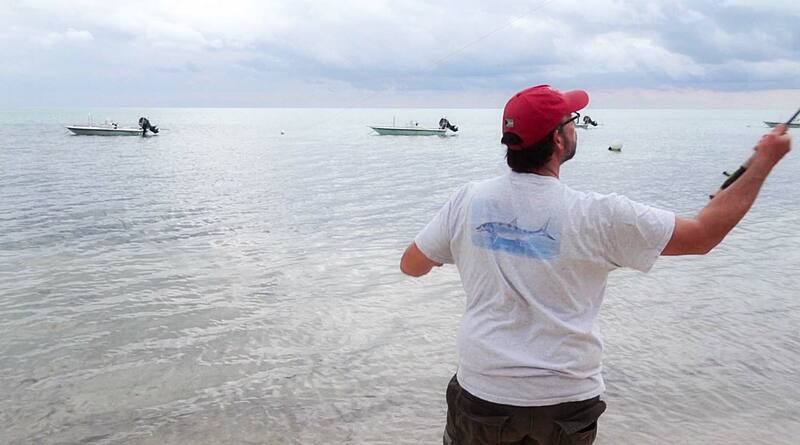 That was an unusually heavy bonefish week. It happens some times. Would you believe I got an email just last week asking why I don’t post more saltwater content? Tell you what David, leave some topic suggestions here and I’ll make it happen. Thanks. Thanks Louis for angracioisbreply after a missy mood got the better of me. Here’s 5 ideas that come to mind…..
Catfish on the fly – I’ve yet to catch one. Deep Summer Bluegill – do they exist? Five Useful Things I’ve Learned from My Gear Fishing Friends – because Thoreau isn’t just for fly anglers. Some good suggestions there David. I’ve caught some nice catfish on the fly I can help there. Here’s the bad news, I did it on streamers so it looks like you’re getting that streamer article either way. LOL!